Belated but better than never. My name is Don Park. Born in South Korea but lived in California, Silicon Valley to be more specific, for most of my life although I speak Korean fluently. I’m a software developer experienced in just about everything. How a keyboard feels is most important to me, followed by sounds then looks. I got over keycaps and cases pretty fast and am now into switches, lubes, and paddings as you can tell from my occasional posts. Welcome Sir! Great to have you hear! I was wondering when I seen this post. I’m thinking you’ve been here almost since the beginning, is this an old thread nobody replied too? Anyways definitely glad you’re here man, I find a lot of your posts interesting & informative. I also look forward to continued banter about switches, lubes, & techniques with you! Ha. I do have some case-related ideas, like carving channels inside the case to shape the sound, but I don’t have access to CNC machine so I’m messing with stuff I can easily access. What is the most underrated piece of KBBQ that I should order? Nathan says its cow tongue, but what else should I be considering? What is the most underrated piece of KBBQ that I should order? Naeng-myun (cold noodle). It goes very well with KBBQ. 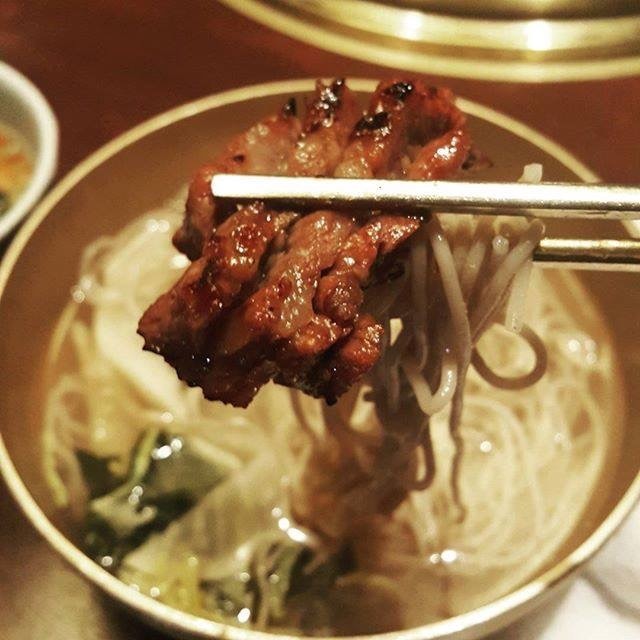 Best way to eat: place a piece of juicy meat on some noodle then pickup both the meat and the noodle with your chopstick to eat them together. Taste of the combo will surprise you. There are wide variety of Naeng-myun, btw. Try them all!